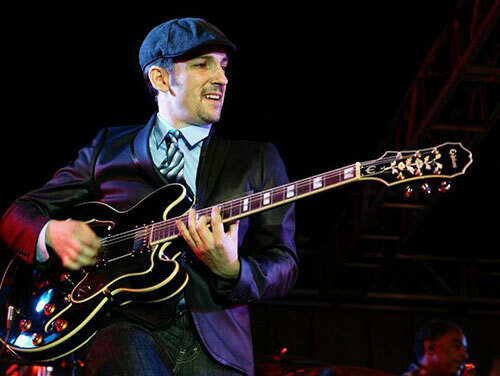 Combining blues, rock, soul and jazz, guitarist Matt Marshak's live shows overflow with passion, energy, crowd interaction and intensity. And although Marshak is busy with live shows and the recording studio, he also finds time to write TV jingles (his guitar was featured on the New York Mets’ Mets Zone on Fox Sports) and conduct guitar clinics. But Marshak also enjoys giving back. He is a supporter of multiple sclerosis and autism awareness, and visits countless schools to help spread the joy of music to kids of all ages. 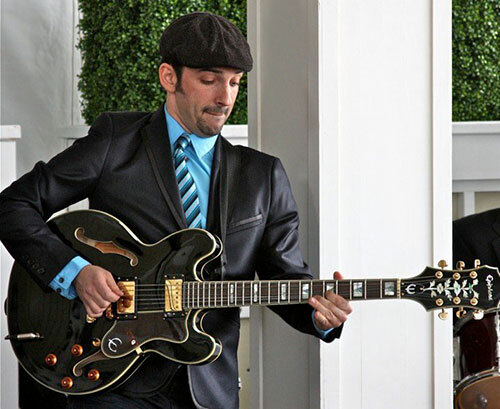 Epiphone's Kevin Sanderson recently had the opportunity to speak with Matt about his music and his Epiphone Sheraton. When did you pick up a guitar and know you were hooked? I took up guitar when I was 15 or 16 years old. I always had the desire to play the guitar and finally jumped on board in my teens. I knew I was hooked because I was taking 2 lessons a week from 2 different teachers initially. I wanted to learn everything. I craved new information in all styles. I was more attracted to concepts of theory, improvisation, writing, and tone. My earliest influences were Joe Satriani, B.B. King, Van Halen, Hendrix. Later on Larry Carlton, Robben Ford, James Brown, Prince and George Benson caught my ear with more of the jazz-blues-funk-urban sounds. I've also been a fan of acoustic players such as Will Ackerman and James Taylor. Growing up, were you one of those kids who would practice all the time? I felt like I started late, so I would spend 10 hours a day practicing for the first few years. While most kids my age were into learning to copy the latest 80's rock song, I was more into chords, scales, composition, recording, listening, creating sounds. Many Friday and Saturday nights in High School were spent practicing and studying. I always had a vision of a hybrid style. I loved the funk of James Brown, the melodic detail of Larry Carlton and the writing of George Benson. I knew I had some work to do. I would analyze a Larry Carlton solo and listen for "magic" notes that made things sound sweet, and then I'd figure out my own theory of why those notes worked. I would play along to James Brown tunes to pick out those funk parts and the feeling too. The jazz guitar riffs and attitude of George Benson were also a big inspiration. Give us a little info on your Sheraton and what you like about it? 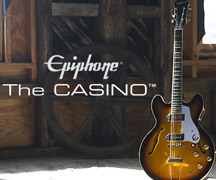 The Epiphone Sheraton is my favorite guitar. I played the Sheraton for years before endorsing them. One day while trying out an amplifier, I grabbed a guitar off the rack at a store to try out the amp. Within a few minutes I had totally forgotten about the amp, and the Epiphone Sheraton guitar in my hands became my focus. There just seems to be fullness and a feeling of "air" around the notes that I've never gotten from another guitar. The playability is remarkable, and the overall look is really nice. The clean neck sounds can be fat and jazzy as can be, and the bridge lead tones are very impressive and memorable. The in-between position is just downright funky! Thanks for spending some time with us. Any final words of wisdom you care to offer? My only words of wisdom are to be original and play from your heart. 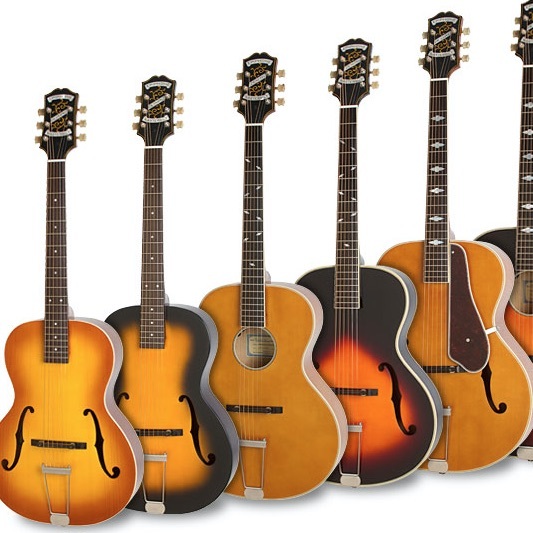 Think of all the timeless guitarists… they all have a unique and original style. You know that thing you play when you warm up on a gig in front of other people? That certain thing that is uniquely you? Be that, and embrace your originality. If you are playing and you are thinking, " this sounds like nobody else," my belief is that you have arrived. We are in the "preset" age. Build you own sound and style and in 10 years they may have a preset named after you! 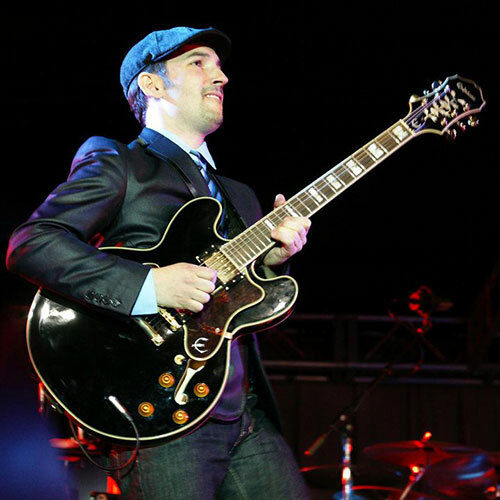 For more information about Matt Marshak visit www.mattmarshak.com.